It is a lovely day filled with sunshine! I’m so happy to see the sun and enjoy the warmer weather. It was in the high 50’s today. I went to church this morning and enjoyed an uplifting service. I came home to find my husband taking a run in our neighborhood, so I got my running gear on and went out myself. It’s such a lovely day that I couldn’t stay inside for my run. I wanted to go to an outdoor track but my husband tried that and the one at our local college was locked. I ended up going to one of the Middle Schools in our area that has a road around the school. 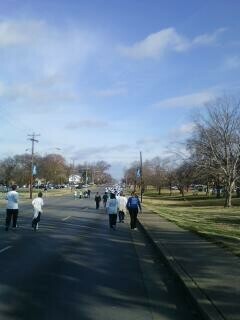 It was approximately 1/2 mile once around and I went around 2 1/2 times. 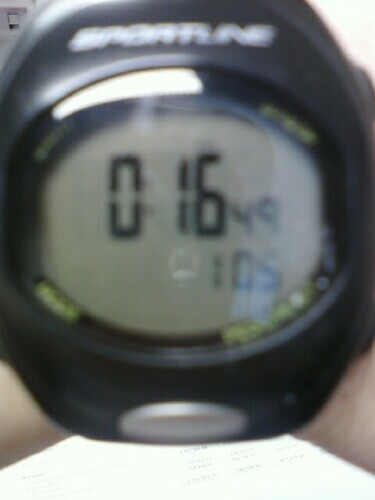 I timed the first mile only just to check my pace. I did it in :16 minutes which is right on track for me. It was a hard run for me because it was windy and because I had not run in 2 weeks (slacker…) I’m glad I did it though. Hopefully the nice weather will stay around so I can continue running outside. I get too bored with the treadmill.